1664 Cobert founded the "Compagnie Française des Indes Occidentales". Through the port of Marseille, he imported the printed fabrics. In France these "tissus" were very much desired and expensive. To protect the native handicraft and to protect his manufaturing, 1696 the fabrics producer Louvois supported the sanctioning of these imports. The smuggling grew massivly. The pressure increase even more, when even the usage of this fabrics was forbidden by law. The printing know-how of the Indians (and Persans) was unique. The navigator Jean de Valdrôme learned the fabrics printing handicraft and brought back the knowledge to France. The use of this new knowledge was the birth of the provencale fabrics (approx. 1740). The original Indian ornamentations were replaced more and more by local oranments and colors. These fabrics were called "Indiennes". Starting from 1759 all sanctions were waived. These colors and illustrations can be seen in the pictures of van Gogh and Cezanne. Until approx. 1980 there were still fabrics-manufaturer, which carried the origin still in the name: "Indiennes de Nimes" and "Indiennes de Valence". Today the typically Indian ornamentations disappeared partly and the classical provencale motives dominate the fabrics. These are lavende, olives, sunflowers, cicadas, mimosas, lemons and also wheat. The fabrics are name like places and regions from Southern France: Valensole, Apt, Trigance, Maussane, Menton, Loumarin, Manosque, Tourrette, Bandol, Moustier, Rians, Carpentras, Beausoleil, Côte d'Azur, Luberon, Paradou . A few are still name like Indian places: Sirsa, Mangalore, Raipur. And some of them have normal names: Marius, Orane, Rameu. However, if you would visit the provencale places of the fabrics names (see above), you would have a beautiful " impressions of the Provence". The colors were determined by the regional raw material situation. 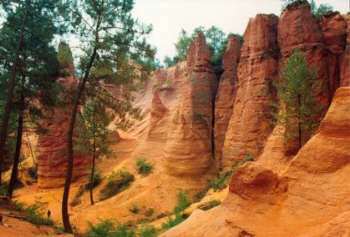 The ocher the rocks of Roussillion / Vaucluse is a very light-resisting material of coloring. "Ohkra" means in Greek "yellow earth". 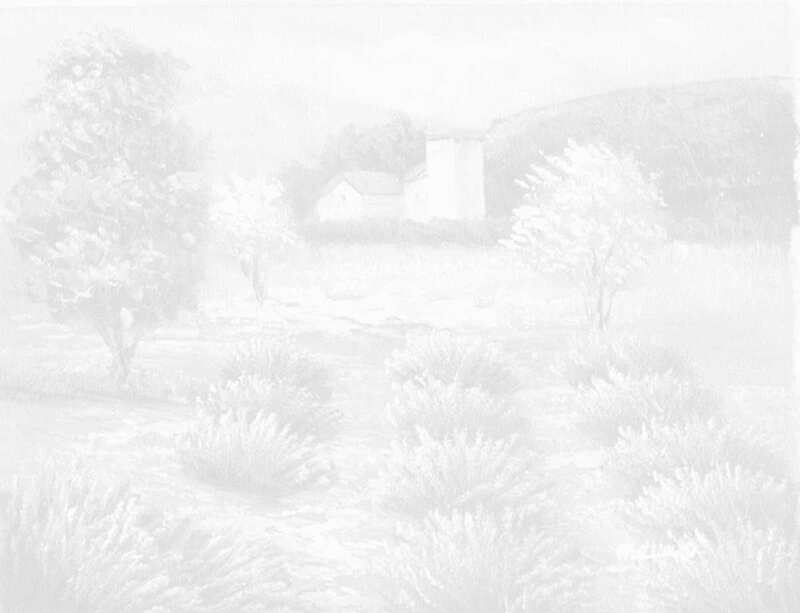 However in Roussillion there are 17 different color nuances. Safran-yellow to orange up to ocher-red. My fabric Bandol ocre is the classical continuation of this old color tradition. 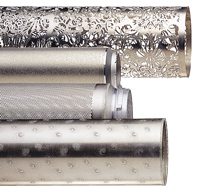 Many materials are printed as stripes "rayure" and at the same time as allover (ornamentation samples) "coordonné". These 2 are perfectly combinable. 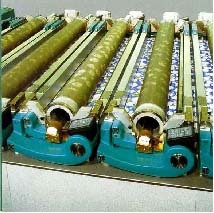 Today the printing of the fabrics is done with large metal roles or with plates at framework for printed tableclothes.